It is expected that the long-awaited Black Friday and Cyber Monday come loaded with many offers and promotions that nobody wants to miss. This year, Black Friday will fall on November 25th, while Cyber Monday (November 28th) is kind of an extra day in which you can buy items with huge discounts (taking advantage of the trend since Friday). In the United States, Black Friday is the day after Thanksgiving, which opens Christmas shopping. Like many American traditions, this has permeated other cultures and now represents an excellent opportunity to buy many technological products at reduced prices. Amazon is one of the most popular e-commerce sites in the world, so its importance on this day is key for many users. So, let's try to give some details about these days that are to come to take advantage of the occasion. Based on data from last year, we assume it can provide discounts of up to 80% on many products (not only within electronics). 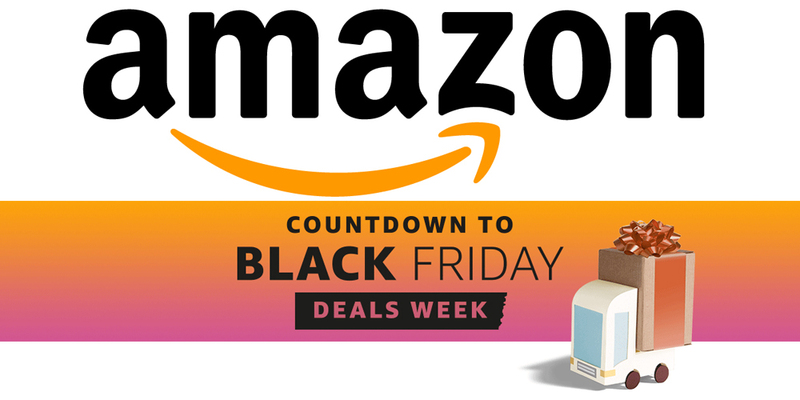 Visiting the official page dedicated to Black Friday on Amazon, we can already see some offers not related to the day, although it is expected that this will start from day 21, thus starting a long week (remember that ends with the colophon of Monday) where consumers can choose from a huge number of products, thanks also to the division between categories such as electronics, sports, kitchen, home, furniture and many others. The main day will be offered the main tablets of the market, PCs, smartphones and many other products related to the technology of the highest quality. Everything will begin, as we have already said, on the 21st, and will continue until November 27. Obviously, the maximum discounts will be on November 25. So from here we recommend visiting the link frequently to constantly monitor the Amazon page and don't miss any offer (since, as in previous years, these will be available for a limited time and stock). Cyber Monday, as its name implies, is the following Monday to Black Friday. All in all it is another day devoted to purchases with discounts of up to 80%, but Amazon will have its own link. Cyber Monday does not have as much History as Black Friday, and in fact was born in 2005, when some stores recorded a strong increase in online sales (after the Friday after Thanksgiving). Since then, websites dedicated to electronic commerce have grown a lot and have also become very important beyond US borders. On November 28 we will know the discounts and offers that will appear after Black Friday. We recommend visiting the linked page frequently, as discounts may vary between a few hours or as much as 24 hours.